Chicago, 1920: Hadley Richardson is a quiet 28eight-year-old who has all but given up on love and happiness—until she meets Ernest Hemingway and her life changes forever. 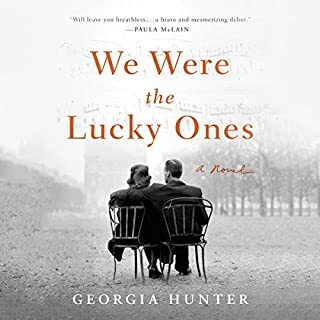 Following a whirlwind courtship and wedding, the pair set sail for Paris, where they become the golden couple in a lively and volatile group—the fabled “Lost Generation”—that includes Gertrude Stein, Ezra Pound, and F. Scott and Zelda Fitzgerald. 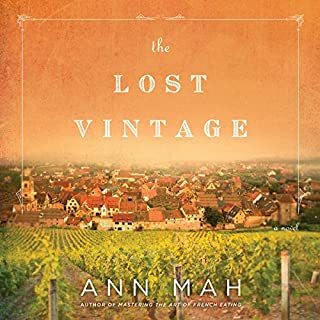 Sweetbitter meets The Nightingale in this pause-resisting novel about a woman who returns to her family’s ancestral vineyard in Burgundy and unexpectedly uncovers a lost diary, an unknown relative, and a secret her family has been keeping since World War II. To become one of only a few hundred certified wine experts in the world, Kate must pass the notoriously difficult Master of Wine examination. She’s failed twice before; her third attempt will be her last chance. An extraordinary, propulsive novel based on the true story of a family of Polish Jews who are separated at the start of the Second World War, determined to survive - and to reunite. 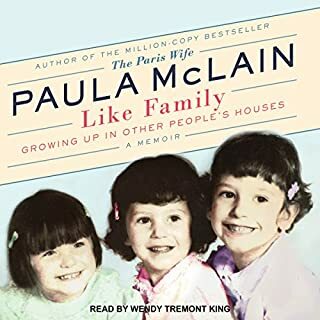 This powerful and haunting memoir details the years Paula McLain and her two sisters spent as foster children after being abandoned by both parents in California in the early 1970s. As wards of the State, the sisters spent the next 14 years moving from foster home to foster home. The dislocations, confusions, and odd pleasures of an unrooted life form the basis of one of the most compelling memoirs in recent years - a book in the tradition of Jo Ann Beard's The Boys of My Youth and Mary Karr's The Liars' Club. Russia, July 17, 1918: Under direct orders from Vladimir Lenin, Bolshevik secret police force Anastasia Romanov, along with the entire imperial family, into a damp basement in Siberia where they face a merciless firing squad. None survives. At least that is what the executioners have always claimed. From the internationally acclaimed best-selling author of Code Name Verity comes a stunning new story of pearls, love and murder. Sixteen-year-old Julie Beaufort-Stuart is returning to her family's ancestral home in Perthshire for one last summer. It is not an idyllic return to childhood. Her grandfather's death has forced the sale of the house and estate, and this will be a summer of good-byes. Not least to the McEwen family - Highland travellers who have been part of the landscape for as long as anyone can remember. Prodigal Summer weaves together three stories of human love within a larger tapestry of lives in southern Appalachia. At the heart of these intertwined narratives is a den of coyotes that have recently migrated into the region. Deanna Wolfe, a reclusive wildlife biologist, watches them from an isolated mountain cabin where she is caught off-guard by Eddie Bondo, a young hunter who comes to invade her most private spaces and her solitary life. New York Times best seller. 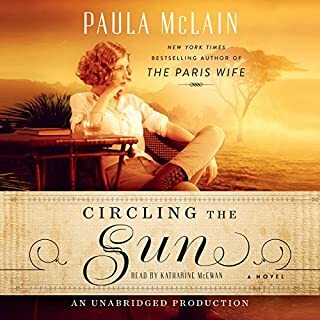 The best-selling author of The Paris Wife returns to the subject of Ernest Hemingway in a novel about his passionate, stormy marriage to Martha Gellhorn - a fiercely independent, ambitious woman ahead of her time who would become one of the greatest war correspondents of the 20th century. Named one of the best books of the year by The Washington Post, New York Public Library, Bloomberg, and Real Simple. In 1937, 28-year-old Martha Gellhorn travels alone to Madrid to report on the atrocities of the Spanish Civil War and becomes drawn to the stories of ordinary people caught in the devastating conflict. It's her chance to prove herself a worthy journalist in a field dominated by men. There she also finds herself unexpectedly - and unwillingly - falling in love with Ernest Hemingway, a man on his way to becoming a legend. Heralded by Ann Patchett as “the new star of historical fiction”, Paula McLain brings Gellhorn’s story richly to life and captures her as a heroine for the ages: a woman who will risk absolutely everything to find her own voice. Got a little slow about halfway through. Glad they began to focus on Gelhorn's incredible work as a female war correspondent in Europe during WWII. Shows Hemingway as the irrascible character he was: brilliant writer, perhaps incredible lover, but not a particularly good human being. Interesting that their torrid love affair while he was still married that lasted several years, dried up after he divorced wife #2 and married Gelhorn. Apparently he made a better lover than a husband. I read The Paris Wife and thought this would be of the same quality, its not. The over-dramatic lamenting of this character is tedious, much like the lamenting of Bella at the loss of Edward in New Moon. It dragged on the pace of the story and you got lost in her mind vomit. The history happening around her was rarely brought into the book and it really made getting through what should have been a steady stroll in the time and relationship little more than a day-time drama. I wish my library had had this and I hadn't spent a credit on it. The upside to it is that January Lavoy was great as the reader, the writing just wasn't that good. This book showed the strengths of two capable people with amazing accomplishments and self doubts. Hemingway's tale has been told and retold. This portrayal of Martha Gellhorn is rich and illuminating. Upon reflection, I didn't know whether to identify with Martha or Ernest. But by the end, it was Martha the brave and capable women. I was so grateful to have learned about her in this special book, by Paula McLain. The first person narratives brought her and the others to life. I would recommend this book to the strongest woman in my life. I think it would give her more strength and a greater ability to love life. I will now seek Ernest Hemingway and Martha Gellhorn books on Audible to immerse further. 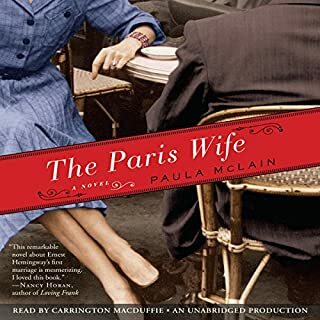 Paula McLain actually authored a better novel of one of Hemingway’s “wives” than her previous “The Paris Wife”!!!! I thought that book was amazing, sad, thought provoking, open and honest and it left me in that empty place. The one where you just CAN’T start another novel even though you want to! The Paris Wife put me there for quite awhile and that is difficult to do because I’m always listening to a book.. PERIOD! 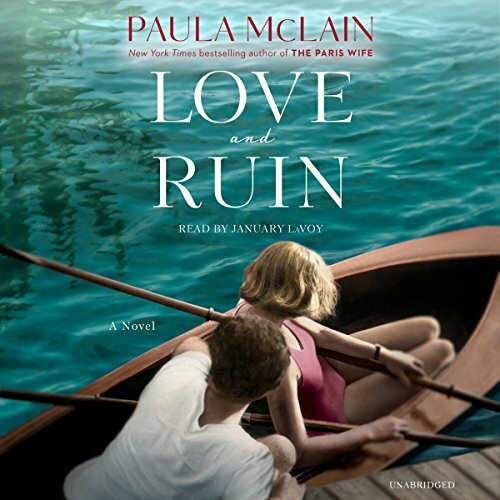 BUT, this one - Love and Ruin - told in first person “Martha Gellhorn” was phenomenal! I just finished and I want to know so much more about Martha Gellhorn! At least I can find biographies and books about her and by her. However, even with all that I feel back in that empty place. Paula McLain is the kind of author that just knows how to leave me that way. I loved this book. Great writing and story. It is interesting to follow history as well. This couple's (Ernest Hemingway and Martha Gellhorn) relationship seemed doomed from the beginning. Martha should have followed her original instincts and not married Ernest. Both parties were at fault for the failure of this marriage, but in this book, Gellhorn appeared to be quite self-centered. I didn't care for her constant, "but what about me and my career" attitude. It is hard for me to like a book, if I do not like the personality of the main characters. 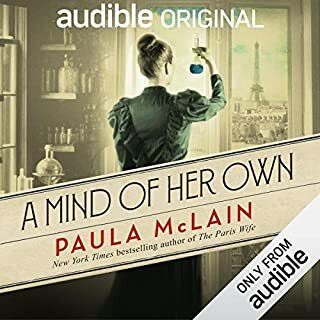 I listened to the audible version of this book and enjoyed the narrator's "Hemingway voice." Once Paula's books have you hooked you cannot put them down. It's as if you become the character experiencing their emotional journey every step of the way. All of her books should be on your "must-read" list. poetic impassioned twisted tale of an indomitable woman and her work and marriage carries us through the horrors of war and the frustrations and hope of love. A must read for anyone who faces the challenges of being a woman and /or a writer in modern times.